Equity investments – Investors make investments in commercial or residential properties and in exchange, they hold an equity stake in the property. Each investor shares in a portion of the rental income the property generates. Debt investments – Specifically, this means investing in a mortgage loan associated with a particular property. As the loan is repaid, the investor receives a share of the interest. Between the two, equity investments offer the potential for bigger returns because the profitability of debt investments is limited by the loan’s interest rate. On the other hand, equity investments are riskier and they typically require a longer holding period. Debt investors generally get their interest on a quarterly, semi-annual, or yearly basis. Equity investors might get their return 3 – 5 years in the future, and things might drastically change by then e.g. a recession or a raging bull market. 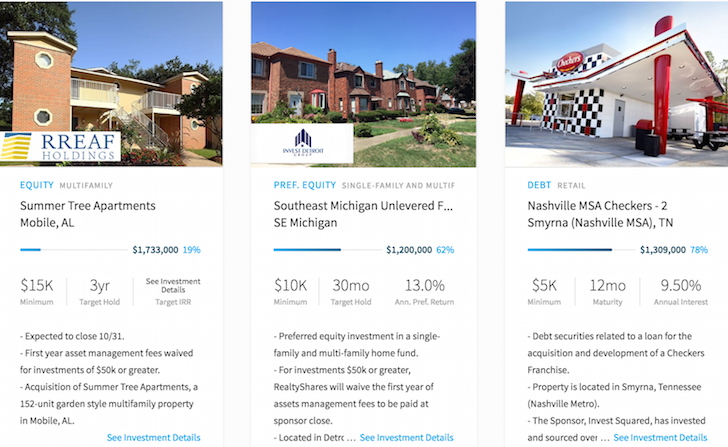 Real estate crowdfunding platforms can vary widely in terms of how investments are structured and that affects what an investor owns. RealtyShares, for example, creates a separated limited liability company (LLC) for each equity investment opportunity. The LLC holds an interest in the entity that owns the real estate at the center of the investment. Investors own shares in the LLC, giving them limited liability as well as certain tax benefits associated with pass-through entities. With debt and certain preferred equity investments, the investment is made in payment dependent notes belonging to RealtyShares subsidiaries. The notes are tied to the performance of a real estate loan or project investment made by an individual subsidiary. Investors have ownership in the note itself. With a REIT, information about the underlying investment may be limited which can make it more difficult to gauge whether the deal is sound. Fundrise thoroughly vets each deal beforehand so that investors have as much information as possible to aid in decision-making. Traditionally, investing in private real estate mean bringing tens of thousands of dollars to the table to participate. With real estate crowdfunding the bar is much lower. Fundrise, for example, offers the opportunity to invest with as little as $1,000. They are my favorite real estate crowdfunding platform. Between debt and equity investments in both commercial and residential properties and real estate funds, investors have the opportunity to gain exposure to a new asset class. Real estate crowdfunding allows investors to benefit from certain tax breaks, such as depreciation, that normally apply to owning an investment property. What Are Real Estate Debt Investments? When investing in debt instruments, you’re acting as the lender to the property owner or the deal sponsor. Depending on the structure — which varies by real estate crowdfunding platform — the loan is secured by either: (1) the property itself or (2) a promissory note backed by the LLC holding the property. First to get paid — As a debt investor, your investment is secured by the property itself or by a promissory note held by the LLC. In either case, you are in the first position of creditors to get paid if the loan should go into default. The loan default process varies by platform, so you need to do your due diligence. Sometimes, investors have to pay for some of the foreclosure costs if the property loan cannot be paid and the property is seized. Shorter hold period — Debt investments have a pre-set payoff date, typically between 6 and 24 months. Regular monthly or quarterly distributions — As typical with loans, there is a regular payback schedule of interest and principle monthly (sometimes quarterly instead of monthly). You know what you’re getting paid and when. Fees — Fees are typically higher on debt investments than equity investments. Returns are capped — With debt investments, you’re the mortgage holder of a loan secured by a specific property. Your return is limited to the interest accrued on the money you’ve loaned to the borrower — you don’t share in any profit made on the deal. No tax benefit — One of the benefits of real estate investing is that property owners can deduct depreciation. As a debt investor, you’re loaning money to the owner of the property, not an owner yourself, so you cannot deduct property depreciation. What Are Real Estate Equity Investments? With equity real estate investing, you get a proportionate piece of equity in a specific property or portfolio of properties, and share in the profits as the property is developed and sold or managed for rental income. Access to deals not previously available — Thanks to the ease, efficiency and scalability of online platforms (where all the relevant documents can be posted online, deals can be divided into low minimum investment shares, and funds can electronically flow back and forth), equity deals previously unavailable to individual investors are now just mouse clicks away. Potential for higher returns — As an equity investor, you’re purchasing shares in the business, not just loaning money to fund the deal. As such, you’re entitled to share in the net profits. Lower fees — In general, equity deals carry lower investment fees than debt. Possible tax benefits passed onto investors — As an equity investor, you own a piece of the property, and depending on the platform, you may be entitled to depreciation expense deductions to reduce the taxes on your earnings. Greater deal of investor satisfaction — Investing in specific deals, which can be very thoroughly vetted by viewing the relevant documents online, can provide a greater sense of control and satisfaction than buying shares of stock in a large company. Risk of failure — Equity investments have a higher risk than debt investments. Deal sponsors may lack the experience and guidance of seasoned real estate professionals. Funding a real estate venture is just the first step. Without an adequate business plan and support structure, even very promising opportunities can fail. Long-term investment — While the payout is typically higher, equity investments take longer to materialize than debt investments. There is an opportunity cost to tying up your investment dollars in long-term investments that needs to be weighed against the expected return and its probability. Unsecured — Equity investments carry higher risk, in part because your investment is considered unsecure. You are not the first in line to get a return of your investment should the deal go bad. You own real estate that’s most likely secured by loans that are paid back first should there be a default. As a high income earner who pays the highest marginal tax rate, I prefer investing in equity real estate crowdfunding. The idea is to put my money to work making an internal rate of return that pays off many years in the future. Because interest rates are low, I believe money reinvested in a project will yield greater returns down the road. If you are in need of immediate regular cash flow, like shorter investment periods with lower risk, enjoy the ability to better forecast your income streams, and are in a lower tax bracket (25% or less), debt investing is a more attractive investment. Deciding between equity and debt real estate crowdfunding is very similar in deciding how to allocate your investments between growth stocks and dividend stocks and stocks and bonds. The decision all comes down to your risk tolerance, liquidity needs, and current cash flow. 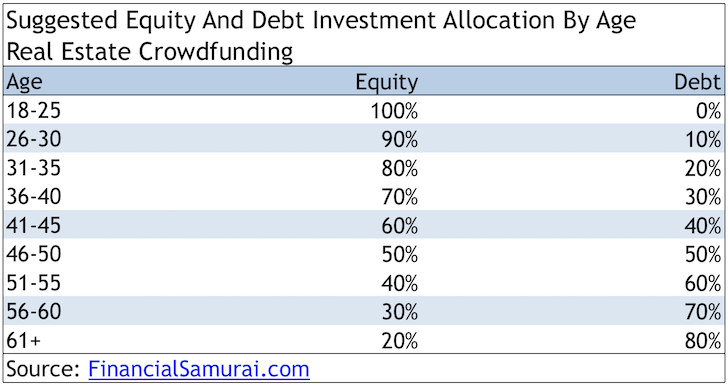 Here’s my suggested equity and debt investment allocation by age for real estate crowdfunding. Since 2012, Fundrise in Washington DC have emerged as the leader in the real estate crowdfunding space. They’ve raised a lot of funds and have done a lot of deals since its founding. Fundrise is the pioneer in the eREIT space and is also raising an Opportunity Fund to take advantage of new tax laws. 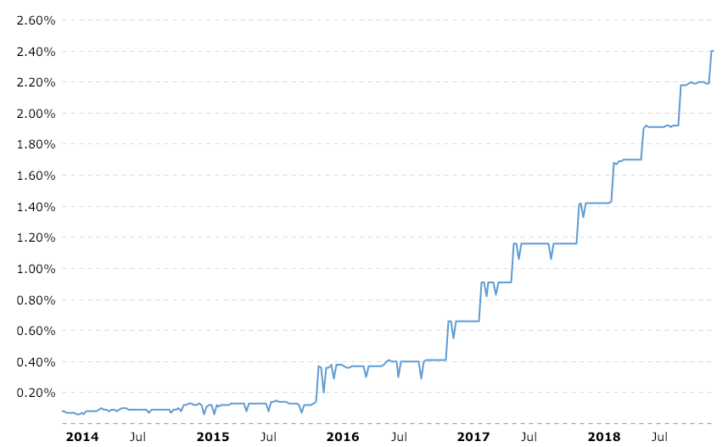 By way of background, I’ve invested in physical real estate in Honolulu, San Francisco, and Lake Tahoe since the mid-1990s, REITs since the late-1990s, and now real estate crowdfunding since 2016. 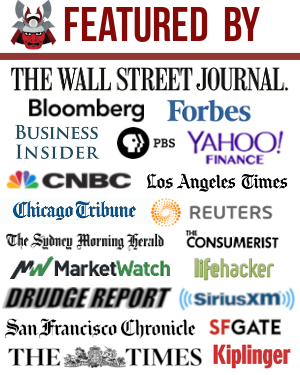 I spent 13 years working in the equities department of Goldman Sachs and Credit Suisse, got my MBA from UC Berkeley, and have been writing about real estate investing online since 2009. A real estate crowdfunding platform gives their investors direct access to real estate investments whereas the idea behind a REIT is that you have exposure to real estate without actually owning, directly, the property. I believe the real estate crowdfunding platform will open up a flood of capital from expensive coastal cities like NYC, SF, LA, and Washington DC, towards inexpensive midland states. Further, the income growth opportunities in the heartland look to have some of the largest upside in the country. The rise of real estate crowdsourcing platforms such as Fundrise increases the supply of capital, thereby increasing the demand and prices of previously hard to tap investments. The new tax policy of limiting SALT deduction to $10,000 and new mortgage interest deduction on mortgages of $750,000 will hurt expensive coastal city real estate at the margin. Take advantage of higher savings rates thanks to the Fed raising rates since end of 2015. You can get a high interest savings rate from CIT Bank for at least 2.45% nowadays. That’s pretty great compared to just 0.1% several years ago.